Out of all the cinematic “essentials” that I have heard about, Ingmar Bergman is the name that comes up perhaps most often. 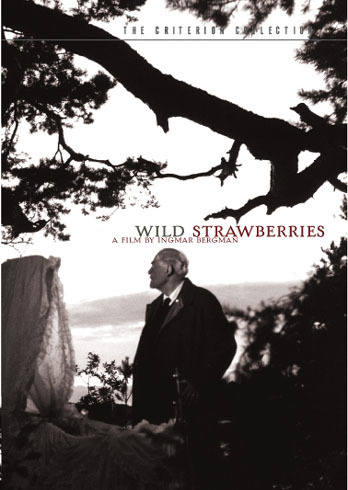 Of his films, Wild Strawberries is one that is frequently mentioned, often referenced as a good starting point to his work. I knew little about the movie beforehand, aside from vague descriptions read elsewhere that stated little more than it being about an old man recalling his past. A simple premise, but one rife with possibilities. Professor Isak Borg (Victor Sjöström, in his final performance) is the aforementioned old man, an egotistical 78-year-old who sets off for a long road trip to receive an honorary degree. His pregnant daughter-in-law Marianne (a stunning Ingrid Thulin) unexpectedly joins him for the trip, despite him frowning upon the idea. Along the way, they are joined by a youthful group of hitchhikers including a vibrant young girl named Sara (Bibi Andersson) who gives the seemingly mundane trip a sense of adventure. The road trip gives Borg a time to reflect on his life. He is a cranky old man who most people find to be pompous and arrogant. In fact, it’s hard to empathize with his character at all at first because of this. However, through a series of daydreams and flashbacks, we begin to learn about the professor’s history, which includes some really tragic events. It becomes apparent how the elderly physician came to be so cantankerous, not that it makes his behavior anymore acceptable. It is reinvigorating to see Borg grow over time, embracing the playfulness from the hitchhikers and learning from the vicious back-and-forth banter from a married couple they encounter along the way. Every event, every daydream and occasional nightmare all lend Borg the ability to grow, even at the ripe old age of 78. The acting here is phenomenal. 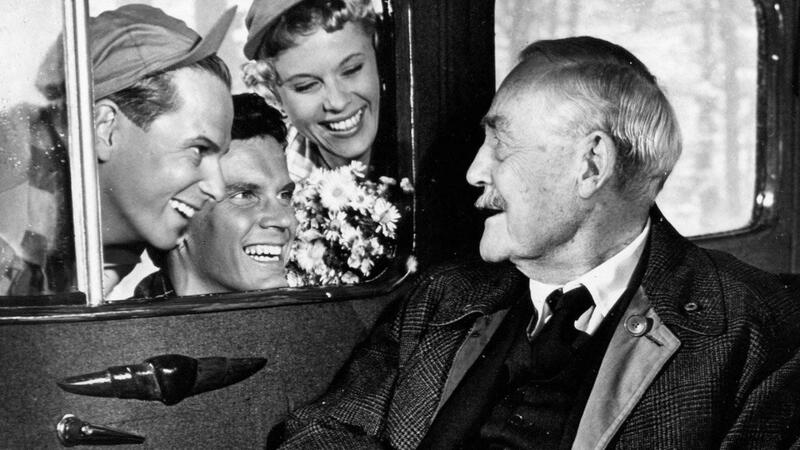 It’s easy to see why Bergman opted for Victor Sjöström, who provides a certain warmth over time to his character. Bibi Andersson is a lot of fun with her sheer optimism and joyful outlook on life. I fell in love with Ingrid Thulin’s performance, and she is simply beautiful in this film. Wild Strawberries uses some really unique imagery, especially in some of Borg’s nightmares. I feel, however, to get maximum fulfillment from this film, I will be needing to watch it again. I liked the camerawork, the acting and the basic premise, but I can’t help but feel that I overlooked certain details that will be important for later viewings. Still, I enjoyed the movie overall and I am looking forward to my next Bergman selection. 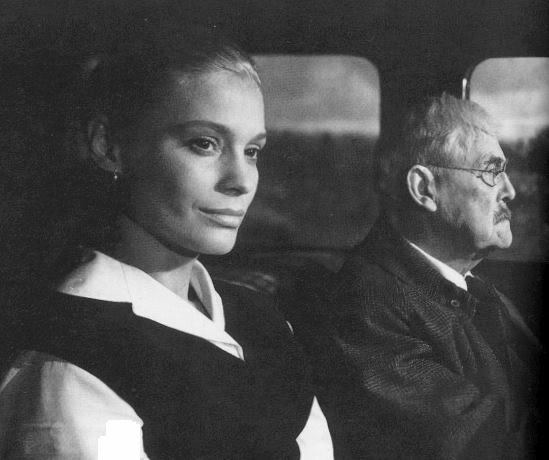 I know I probably should not admit this but I haven’t ever seen a Bergman film from start to finish…I am sucky huh? I would like to see this one, just because the main character is called BORG….Love Star trek….. I hear ya, man. I can’t believe it took me this long to watch one of his films. Can’t wait to check out The Seventh Seal. I liked your writeup, it really made me want to watch it again. Thanks. No problem, thanks for the comment. I’ll check out your friend’s post, too.